Performers include: Grant Gustin, Candice Patton, Danielle Panabaker, Rick Cosnett, Carlos Valdes, Tom Cavanagh, and Jesse L. Martin. A spin-off of Arrow, this action series revolves around a young man who, through a freak accident, ends up with the ability to run at super speed. He decides to use his abilities to protect the citizens of his hometown, Central City. 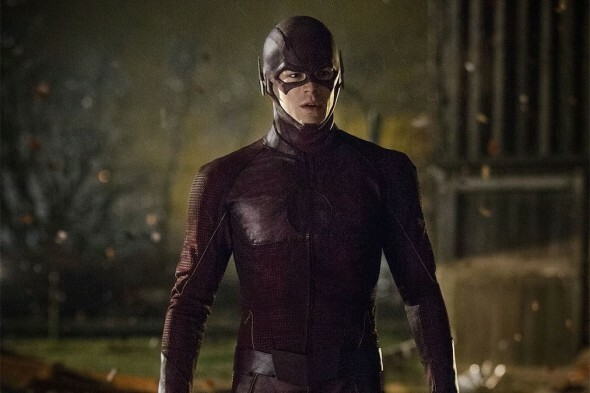 At 11, Barry Allen (Grant Gustin) witnessed the death of his mother in a bizarre incident and his father was falsely convicted of her murder. Young Allen was taken in and raised by Detective Joe West (Jesse L. Martin), the father of Barry’s best friend, Iris (Candice Patton). Now, Allen has grown into a brilliant and geeky CSI investigator. He’s determined to uncover the truth about his mother’s strange death and this leads him to follow up on every unexplained urban legend and scientific advancement that comes along. Allen’s latest obsession is a cutting edge particle accelerator — created by visionary physicist Doctor Harrison Wells (Tom Cavanagh) and his STAR Labs team. They claim that this invention will bring about unimaginable advancements in power and medicine. Unfortunately, something goes horribly wrong during the public unveiling. The devastating explosion causes a freak storm in which many lives are lost and Allen is struck by lightning. After nine months in a coma, Allen awakens to find his life has changed — the accident has given him the power of super speed. He also learns that he’s not the only person with metahuman abilities. Allen vows to use his abilities to be a hero for Central City and to continue to search for the truth about his mother’s murder. With the help of his closest friends and donned in a special red body suit, Allen becomes The Flash — the fastest man alive. What do you think? Do you like The Flash show? Do you think it should be cancelled or renewed for another season? The flash should be renewed for as long as the cast wishes to be involved with the show !! Theres always new metas out there !!! Oh love killer frost ! !